Widely acclaimed as the first movie star, Florence Lawrence was the first film actress whose name was used to promote her films. 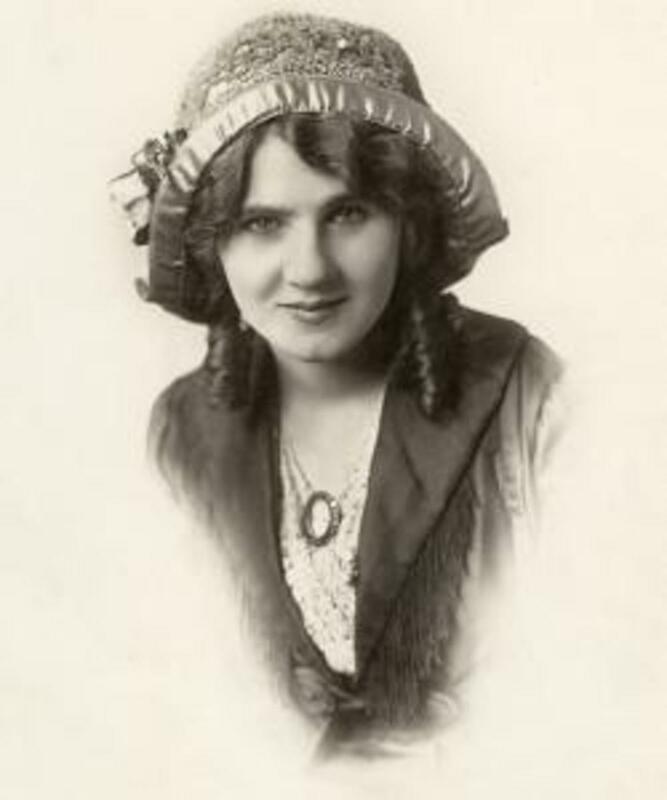 Adopting her mother’s stage surname, Florence Lawrence got her big break in the film industry after being hired in 1906 by Thomas Edison’s movie studio to play Daniel Boone’s daughter in a biopic of the frontiersman. 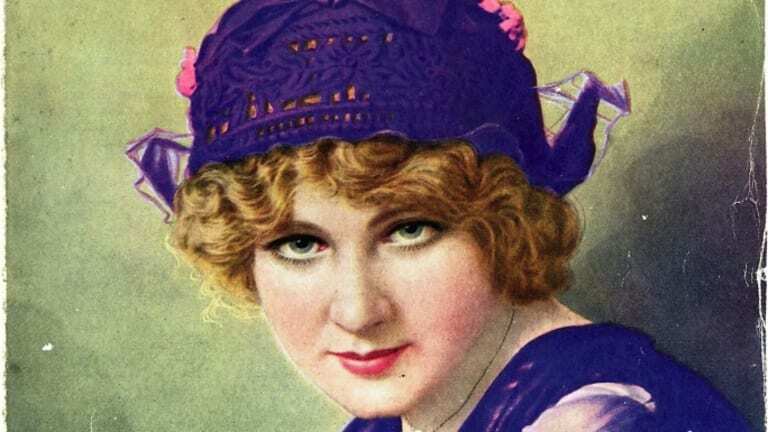 The following year she appeared in nearly 40 movies for the prolific Vitagraph Studios before she was lured away to Biograph Studios in 1908 by the prospect of a $25-per-week salary. Directed by pioneering filmmaker D.W. Griffith, the statuesque leading lady captured the public’s attention in a range of roles from Cleopatra to a cowgirl to Juliet. Nobody, however, knew her name. Florence Lawrence in a Frank C. Bangs Studio portrait. As Ty Burr detailed in his book “Gods Like Us: On Movie Stardom and Modern Fame,” no actors, directors, producers or screenwriters were credited on screen in cinema’s first 15 years. 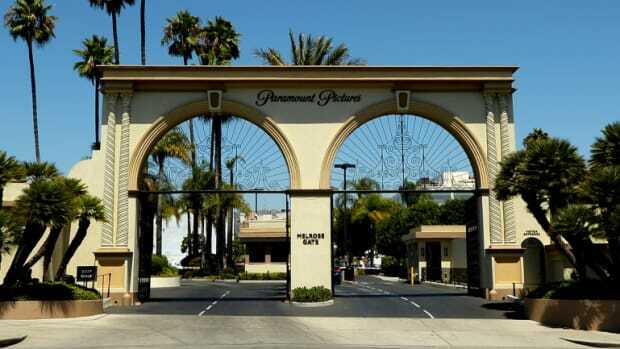 Even though eager fans inundated movie studios with letters asking for the names behind the familiar faces they saw on the silver screen, the Edison Trust cartel that controlled the film industry feared that actors would demand more money if their identities were revealed. “We do not know the lady’s name, but certainly she seems to us to have a very fine command of her emotions,” wrote one reviewer of Lawrence’s performance in the 1909 Biograph film “Resurrection.” With Lawrence’s identity kept secret, her legions of fans took to calling her the “Biograph Girl.” After Lawrence appeared in more than 100 one-reelers for Biograph in 1908 and 1909, the studio fired the actress when it learned she approached other film companies offering her services. She wasn’t out of work for long, however. Maverick movie executive Carl Laemmle, who sought to shake up the film industry by taking on the Edison Trust, signed Lawrence to his new studio—Independent Moving Pictures (IMP), which featured a suitably impish logo of a grinning devil wielding a pitchfork. Laemmle recognized the untapped star power in the movie business, and he staged an elaborate ruse to promote his new leading lady. Promotion of a star, Florence Lawrence, by Carl Laemmle and the IMP studio. Laemmle planted a newspaper story in February 1910 that the “Biograph Girl” had been struck and killed by a streetcar, and then took out an advertisement in an industry newspaper to debunk the story. 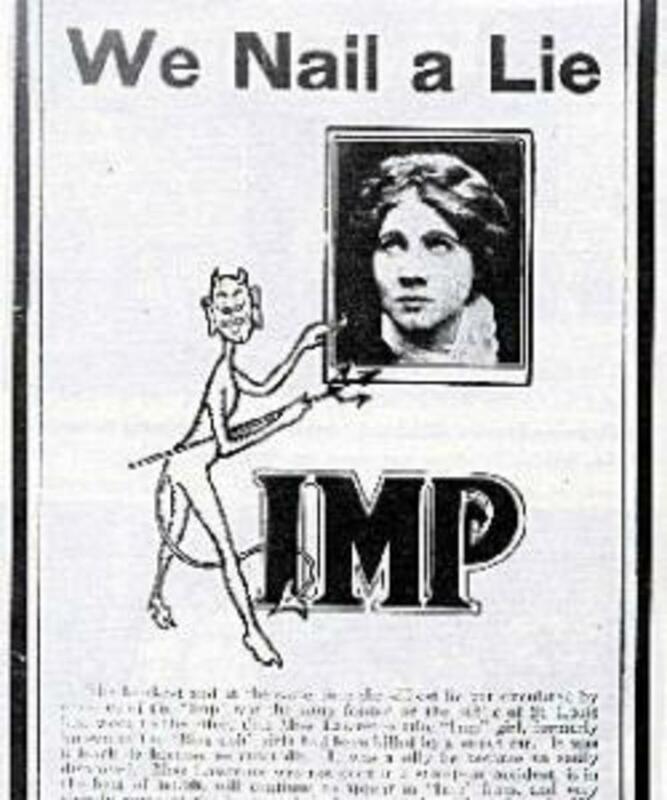 “We Nail a Lie” declared the IMP advertisement, which blamed rival studios for the deception of its own creation and announced that not only was Lawrence alive, but that she would star in its next film. Lawrence became the first actor to be credited by name on a motion picture. She made approximately 50 films for IMP in 1910 but left for the Lubin Manufacturing Company before the end of the year. 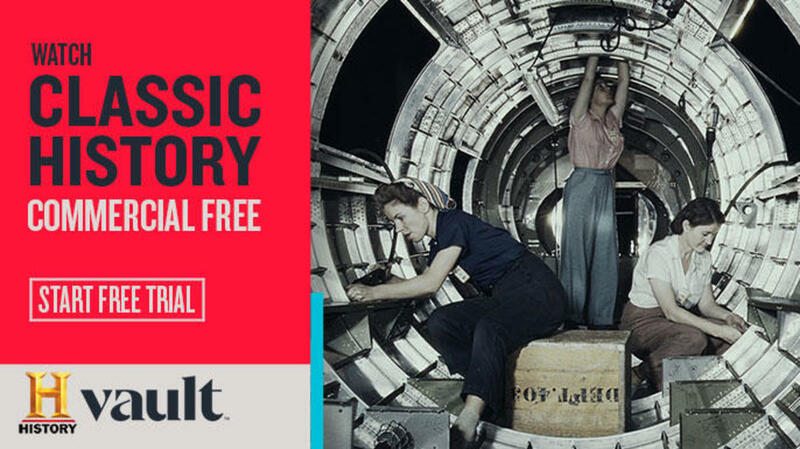 In 1912 she launched the independent Victor Company, which was eventually brought under the umbrella of Laemmle’s new venture, Universal Pictures. More than just a pretty face, Lawrence in 1914 invented an “auto signaling arm,” a mechanical turn signal that raised or lowered a flag on a car’s rear bumper with the push of an electrical button. She also developed a mechanical signal that flipped a stop sign from the back bumper whenever a driver hit the brakes. Lawrence never patented her inventions, however, and never realized any money for her ideas. While other silent movie stars such as Mary Pickford and Charlie Chaplin began to eclipse her fame, Lawrence suffered serious injuries while filming a fire stunt in 1915. The accident derailed her career. 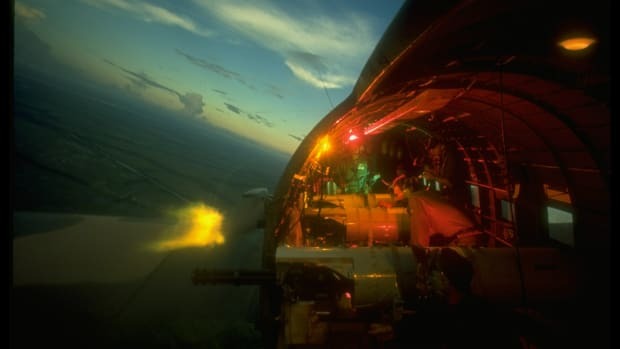 She was racked with pain and bed-ridden for months at a time. Her marriage fell apart. Owen Moore talks to Florence Lawrence in a scene still from a silent drama. The comeback fizzled. By 1927, Lawrence’s film career had come full circle with her once again appearing anonymously on screen in un-credited roles, only this time as an extra. Her second husband left her for another woman. “He said I didn’t keep myself looking as pretty as I used to,” she explained to a judge in 1931. Her next marriage lasted just five months after her alcoholic husband turned abusive. 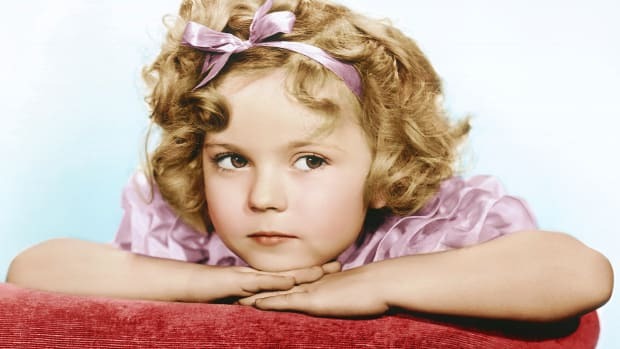 Her last screen role came in a small part in the 1936 romantic comedy “One Rainy Afternoon.” While playing bit parts with Metro-Goldwyn-Mayer for $75 a week, she began to suffer from an incurable rare bone marrow disease that left her anemic and depressed.